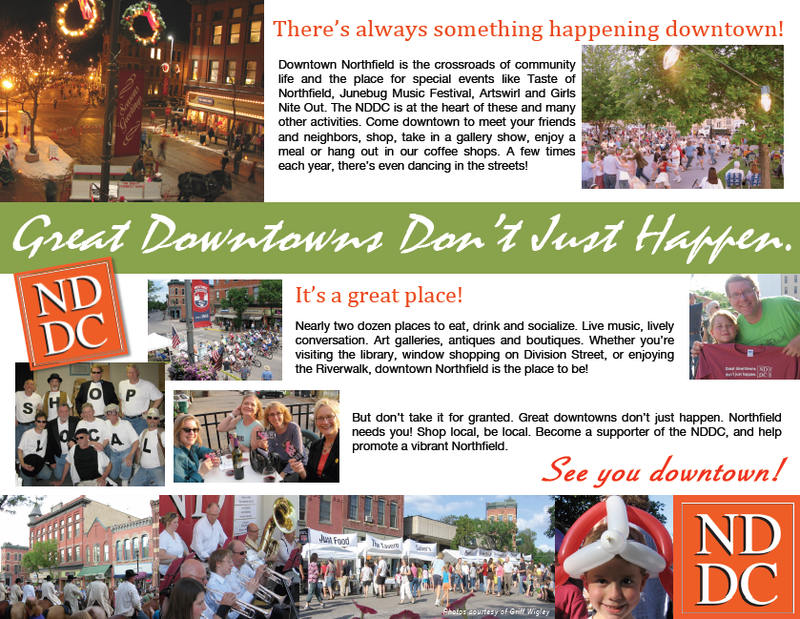 The NDDC has a slick new downtown Northfield brochure out (“Great downtowns don’t just happen”), the work of Board member Anastasia Balfany who teamed up with Nichole Day Diggins at Flying Pan Productions. ED Ross Currier’s job was to nag me for photos. 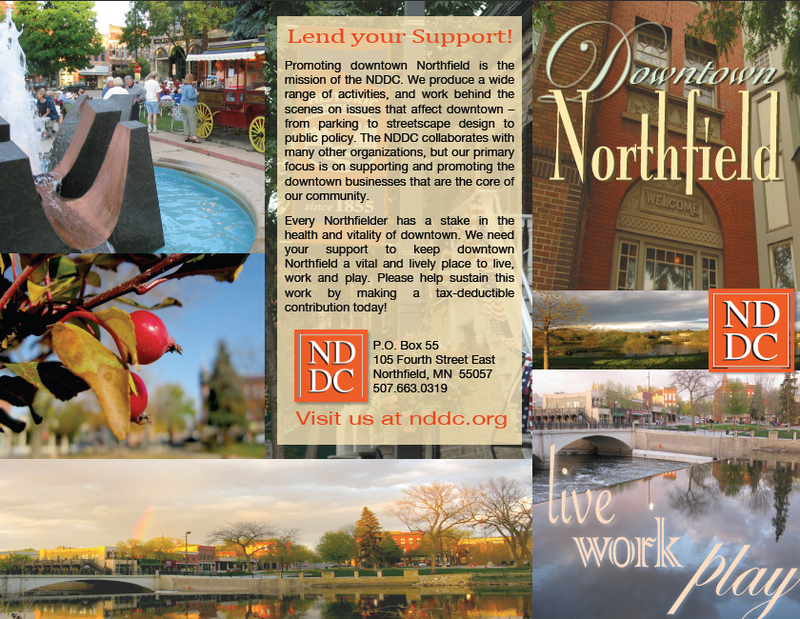 Click the thumbnails above for a quick look or view this big PDF.